Adam Hanohano currently resides in Ewa Beach but hails from Waipahu, Oahu. He is presently enrolled at Leeward Community College in the Plant Biology/ Tropical Agriculture program. and intends on pursuing a BS in Botany from UH Mānoa. Adam is also a botany assistant at LCC and oversees the maintenance and development of the agroecological spaces on campus and is a current intern with Leeward’s Ho’oulu Project under the direction of Kimi Makaiau. The Ho’oulu Project has partnered Adam with Loko Ea in an effort to aid him in his academic and cultural development. 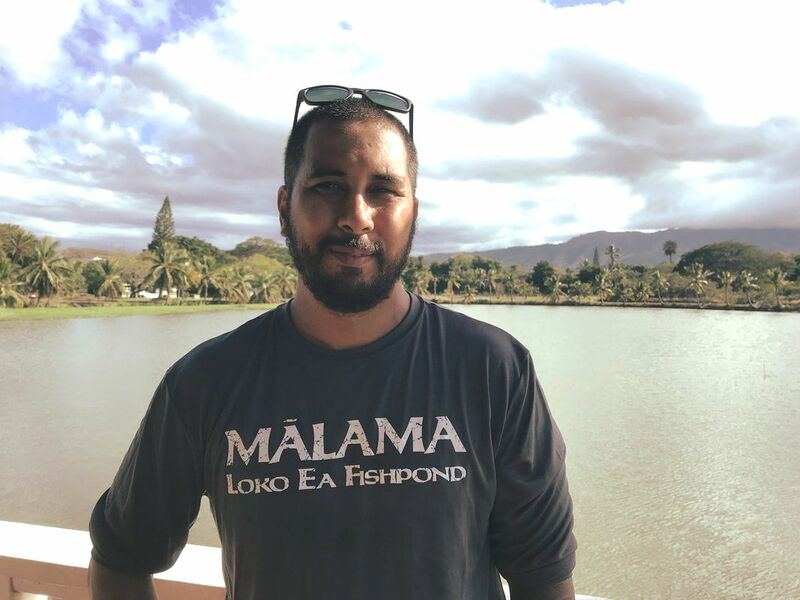 Adam would like to aid Loko Ea with their vision of fertile and fruitful māla (garden) and the overall restoration of the fishpond. Adam see’s Loko Ea as the cultural component which has been absent in his academic life and hopes to it will help him view the world through a more indigenous len. In his spare time, Adam enjoys nothing more than company of his beautiful wife and daughters and working with them in their little home garden.